【Ingredients】 refined javanica oil refined lecithin, glycerol. 【Properties】 This product is milky white milk evenly. 【Indications】 anti-cancer drugs. For lung cancer, lung cancer brain metastases and gastrointestinal cancer. 【Dosage】 Intravenous infusion, once 1030ml (once 1 ~ 3), once a day (this product should add sterile saline 250ml, diluted immediately after use). 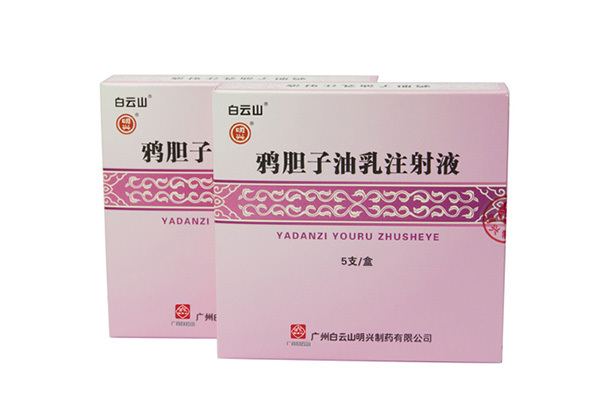 【Adverse reactions】This product is mainly nausea, vomiting, digestive tract reactions, phlebitis, dizziness, flushing, occasionally drug-induced liver damage, anaphylactic shock, arrhythmia death. 【Packing】 colorless ampoule. Each 10ml, 5 per box. [Storage] airtight, dark, cool place (2 ~ 1 0 ° C) to save.